A Top-10 means a top ten, not two top tens but we’re all about breaking out of strict rules and living dangerously after a road trip too big to fit into just one. In a country that’s basically the worlds biggest food buffet placed into dramatic scenery with inspiring people we ate, we saw, we road tripped the length of this emblematic country. For the first time in this trip we simply need to do two top tens, food and travel. Strap in, forget the diet and come road tripping with us through this brave little nation that is nothing short of a travellers dream. How do you pick one street noodle in a country famous for street noodles. In truth taking a tiny red plastic chair on a footpath and diving into hot steamy noodles is what makes Vietnam, Vietnam. 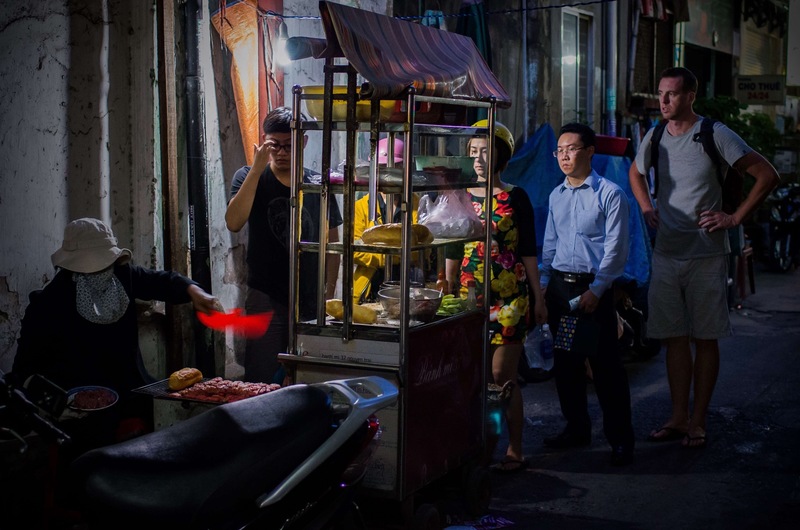 With quail eggs and a crumbling fish cake the ones in Hue brought us back for seconds and tops the very competitive pile to get the coveted gong for the best street noodles. Going against the grain can be dangerous in a nation with such a reputation for coffee of it’s own style. One of our top three espresso coffees globally was Warehouse Cafe in Ho Chi Minh City. Is there anything Vietnam can’t do? Our farewell dinner is always an occasion but this one was different. From an immersion into street food like no other we were pulled back to the world of fine dining, wine and most dramatically, western food. It seems that Vietnamese food isn’t just a street phenomenon, it’s gotten high-brow too. Viet coffee is unique, it’s its own beast and there’s nothing like it. Thick, sticky, sweet and strong enough to deserve a heart condition warning it defines this nation like few foods do. Trung Nguyen grows coffee for Vietnam and the home town cafe remains the best for this unique gem of a drink come health warning. Lining up in a dark Saigon alley for the best baguettes in Vietnam. Dinners don’t get more real, being hosted by Tung’s family was a treat we couldn’t dream of. The home made pork sausage sat like a stone in our stomachs for a few days but nothing dulls the hospitality, generosity and window into a culture we’re completely captivated by. I’m just going to say it; this is the best market we have seen on this trip, in fact probably the best ever. Big call I know but we had no option to begin the tradition of the glut-a-thon in Dalat, eating one of every thing on offer. Heaven. Pho, the dish that built a nation, we had pho nearly every day. Pho is more than a noodle soup, it’s more than a meal, it’s a way of life. 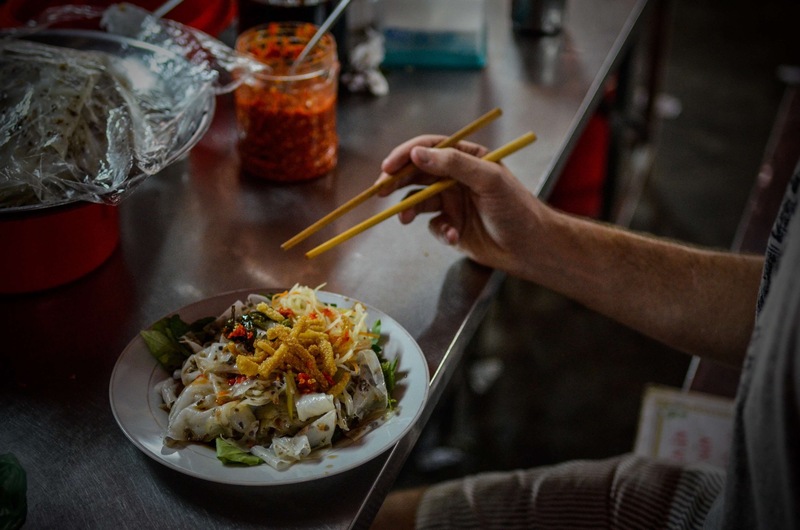 Pho was mostly best at random houses along the roads of rural Vietnam and none were better than a small house perched in the mountains above Mui Ne, when a lunch stop got confused with being welcomed into a family home and a way of life. We had heard of the legend, were teased of the mystery, the noodles to sell a kidney for, the noodles only available in one town on earth. We came, we tried, we tried again and then found an excuse for just one more. Big talk so rarely gets so comprehensively backed up with fat firm noodles atop fresh herbs sitting so perfectly with pork sumptuousness only to be offset by a sweet sauce and pork crackling texture. Brilliance in a bowl. The pork pattie baguettes were superb, the mystery sauce was spicy and sweet but above all the secret alley location made the meal what it is. A masked woman dealt her poison like a drug and we came like junkies to a fix. The Dark Heron sat behind her mask and dished up not just food but the quintessential street food experience we will never forget. Banh Cuon, Hoi An market. There’s banh cuon and then there’s banh cuon from the market in Hoi An. Silky rice gluten sheets sprinkled with mushroom are the essential ingredient but slathered over a bed of green herbs so fresh they’re still growing and doused with a salty hot sauce the Hoi An banh Cuon only needs the crunchy texture shift of pork crackling to rocket it above the legend that is cao lau and take the number one spot in a nation of number one’s. The expression ‘a force of nature’ comes to mind. Be it fixing a puncture in the middle of nowhere, hammering bent metal on the side of the road or fishing chunks of broken plastic from your engine there’s nothing these guys won’t do, can’t do to get you back on the road in no time. Some places just seem too bizarre, too surreal to be part of our humble planet; welcome to the largest caves in the world. So many thousands of years are told in stories of silent organic architecture in these enormous spaces. Rarely is silence filled with such drama, such awe and there’s nothing to do but stare. The joys of a road-trip. Viet coffee is a phenomenon on it’s own but it takes on new proportion when it’s from a tiny roadside cafe somewhere in rural Vietnam. From the first ‘real coffee’ that came served in a tiny aluminium contraption called a phin to slowly drip the intense syrup into a waiting glass we were perplexed and hooked. No looking back, the first coffee stop was often the most awaited part of a riding day as soon as we got clear of the cities and towns that never seemed to do it quite the same. Hanoi, it’s all you have to say. Crazy, fast paced, noisy and heaving are words that come to mind. In the midst of all this we met Tung, and Hanoi became so much more. An inside view to a city seems so trivial when you get ‘the’ inside view not only to a city but a family and through it all, a nation. 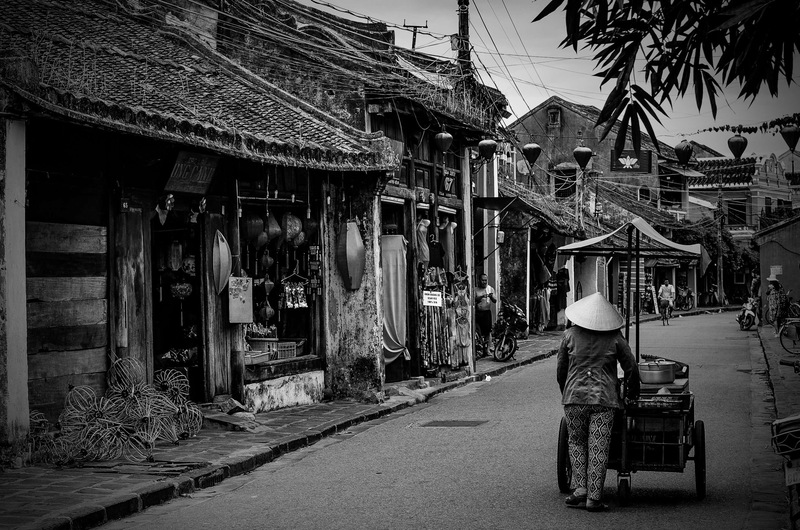 A city has rarely ever represented a nation to us quite like Hanoi. The extension of our joy in Hanoi was the joy mixed with harsh truths on our visit to Tung’s home town of La Phu. When travelling it’s easy to say that we want the real experience and we’ve never gotten it with such honesty as in La Phu. Set in an idyllic rural location with hot springs and stunning national park mountains, La Phu was more experience, insight, relaxation, food, immersion and scenery than a one night stay should be able to accommodate. Somewhere on the Ho Chi Minh trail in the highlands close to Laos there’s a town called Dalat. Surrounded by coffee, dramatic waterfalls and mountain scenery this food explosion offers more than meets the eye. A blessedly cool climate houses tourists among a local vibe with more elegance than seems possible. It’s the place to be a traveller and not feel like a tourist. Leaving Dalat was a sad affair and although every leg on the road was dramatic for some reason or other the roll down out of the mountains from Dalat to Nha trang was the most comprehensively positive of the lot. An easy day set in stunning mountain-scape was filled with being forced to share moonshine at a roadside lunch stop, local coffee up with the best of the trip succeeded in the impossible, making leaving Dalat not so bad. Food, culture, people, scenery and all the rest, Vietnam is a country made for a tourist brochure. It’s also the place to weep for the barbaric nature of our species and weep even more for our bravery and fortitude of the same animal. The American war captured on film for the first time and put on display here was a David and Goliath battle, and David won despite what can only be called atrocities from the worlds greatest power not accustomed to losing wars. Museums are always educational yet the horrific S21 in Cambodia is the only other I can think of that sparks emotion like this. There’s no shame in shedding some tears here. There is life everywhere, even the rivers of Vietnam. It’s a simple rule really, when something’s a UNESCO world heritage site, it’s a pretty good bet that there’s something there worth seeing. Architecture, local bustle and food squash together against a river that, at night, literally lights up with hundreds of floating candle lamps carrying wishes and dreams slowly by. If Dalat is where travellers come to not feel like tourists Hoi An is where you feel like a tourist but it’s so damn beautiful you just don’t care. It’s hard to pick a winner from 12 legs of a road trip that held not a single mundane day. 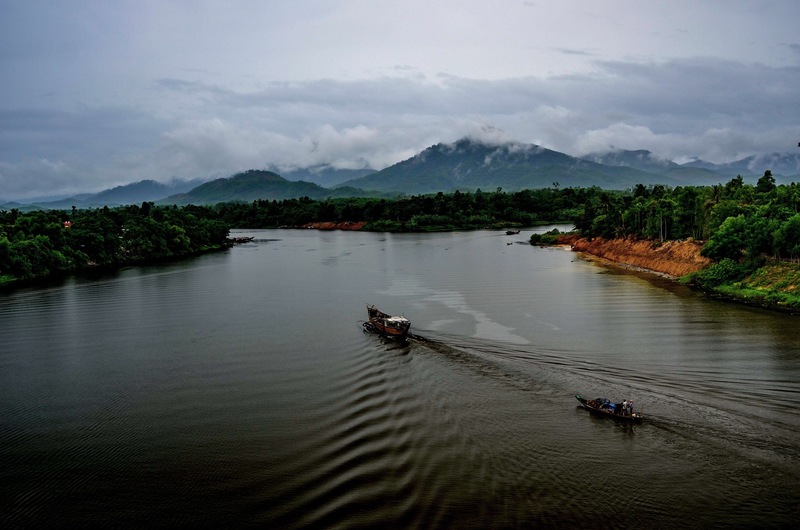 In truth it’s the road trip, the escape, the freedom that’s the overall memory that will never fade and the pinnacle of that memory will always be Phong Nha national park. Soaring limestone mountains swathed in a jungle that couldn’t be stopped was our world for a time as we tasted a life that wanted for no adventure or freedom. This memory will forever define the romance of a road trip that defined an adventure.